dance.net - St Paddy's Day parade (10177075) - Read article: Ballet, Jazz, Modern, Hip Hop, Tap, Irish, Disco, Twirling, Cheer: Photos, Chat, Games, Jobs, Events! 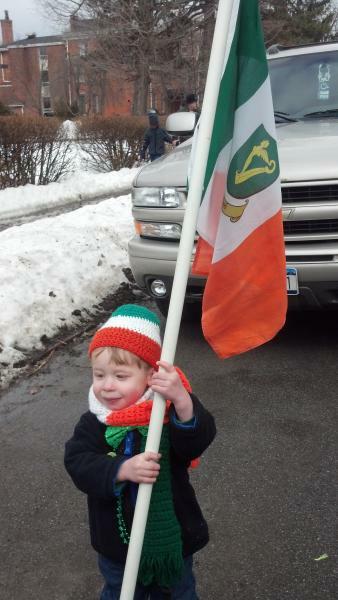 Here we are at the Rochester St. Patrick's Day Parade. My son is 2 years And 4 months. 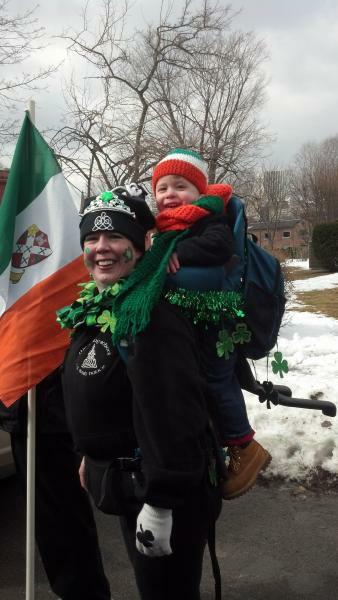 He was in the backpack as I was dancing the whole way down the parade route! He was giggling and waving the entire time! We had a blast. I dance with the Young School of Irish Dance. I heard comments like "You da Mom!" And "That takes talent - dancing with a baby on your back" (that was from the guy on the judges stand!) Also many many "Aww, look at the baby!" We loved it! I'm not surprised - you both look very festive and dancing with your son in tow would have been no mean effort! It looks like you both had a great time. looks like you both had fun! You are The Mom! Rock out, girl! Well done, with your sweet baby boy! So very glad that you both enjoyed the parade. 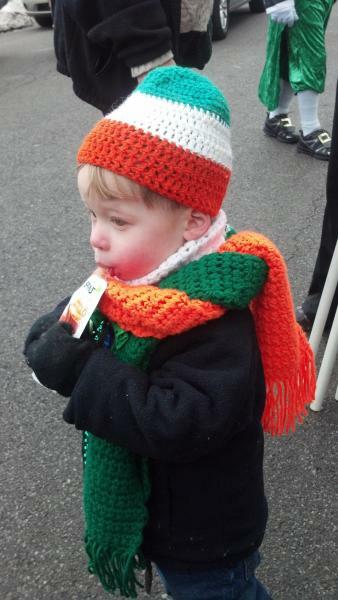 His hat and scarf are precious, too. Did you make the set?